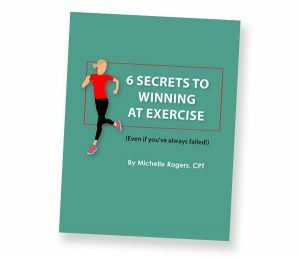 Here are some of my favorite beautiful places in North Carolina’s Triangle area to enjoy a healthy walk. All of them have free admission and are open year-round. 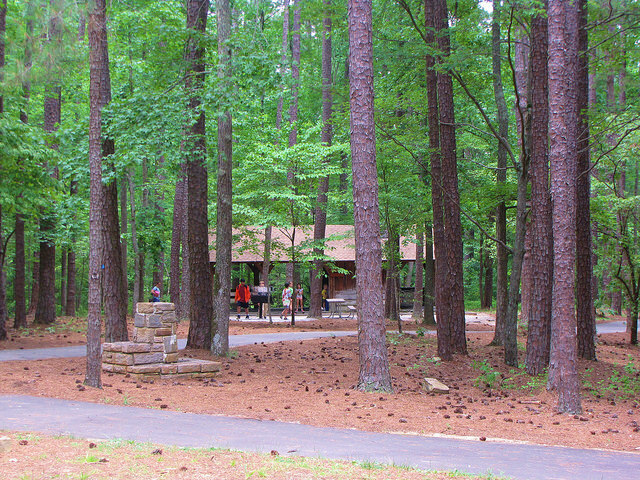 William B. Umstead State Park – There’s something for everyone at this expansive park. It offers 22 miles of hiking trails, including equestrian and mountain biking. 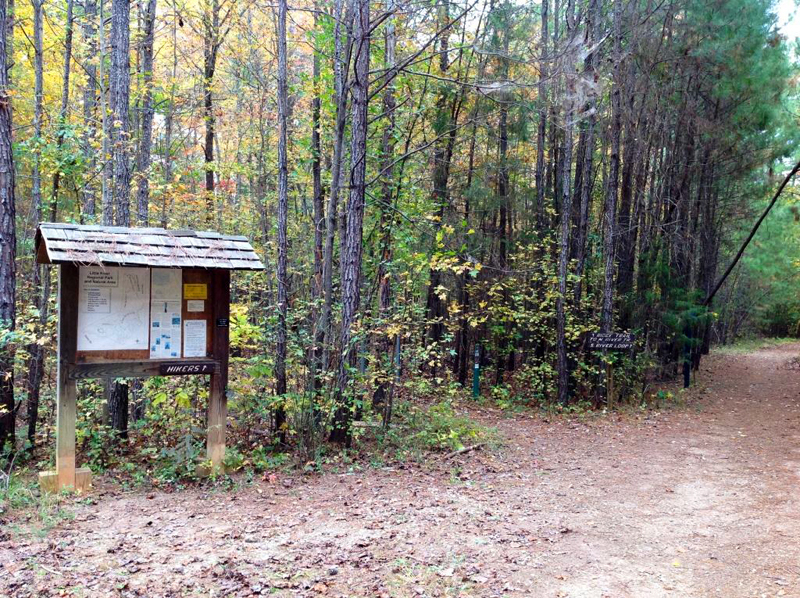 Trailheads on both sides of the park—accessible from Interstate 40 and US 70—surround three lakes. 8801 Glenwood Avenue, Raleigh. 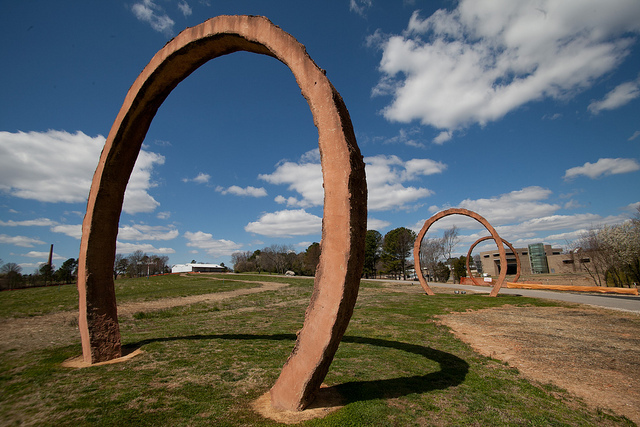 North Carolina Museum of Art Park – Walk these lovely trails and take in art at the same time! The park features public art installations by international artists, colorful and contemporary gardens, and a terraced pond. The park also connects to the Capital Area Greenway. 2110 Blue Ridge Road, Raleigh. 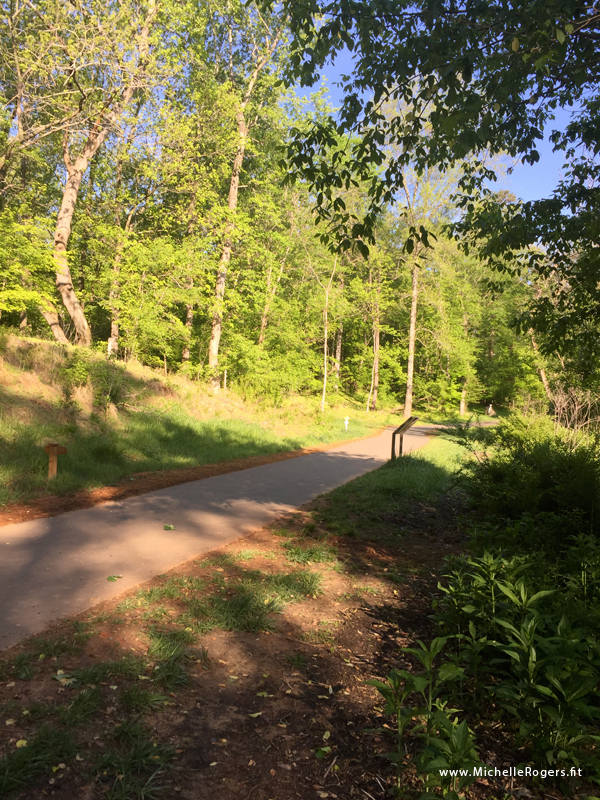 JC Raulston Arboretum – Looking for a flat trail for a leisurely walk? 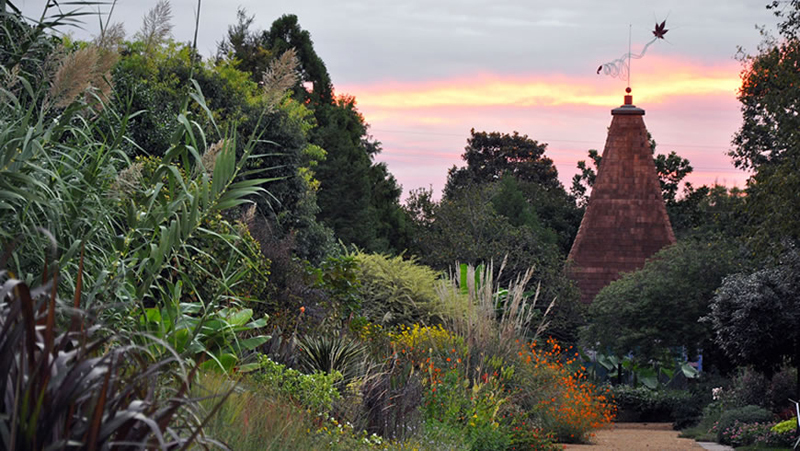 Enjoy exquisite gardens while you explore the paths of this 10-acre arboretum and botanical garden operated by North Carolina State University. Don’t miss the peaceful Japanese Garden! 4415 Beryl Road, Raleigh. 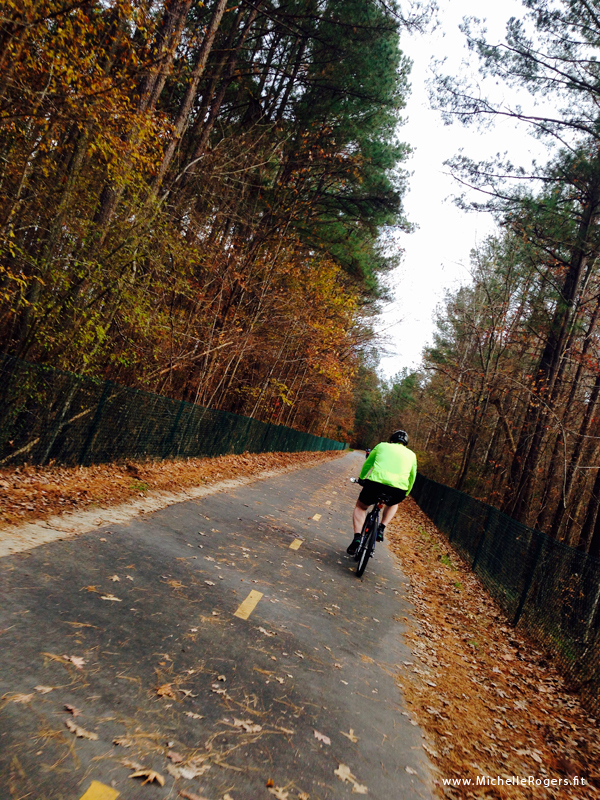 American Tobacco Trail – Built on a former railroad corridor, this 22-mile trail crosses through the City of Durham; and Durham, Chatham, and Wake counties. 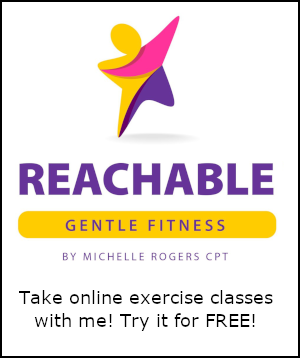 A great place to walk, run, horseback ride or bike! Entry points are located throughout the trail; see maps. Eno River State Park – This mostly wooded park features almost 28 miles of trail, parts of which follow along the banks of the tranquil Eno River. Trails range from .5 mile to about 6. 6101 Cole Mill Road, Durham. 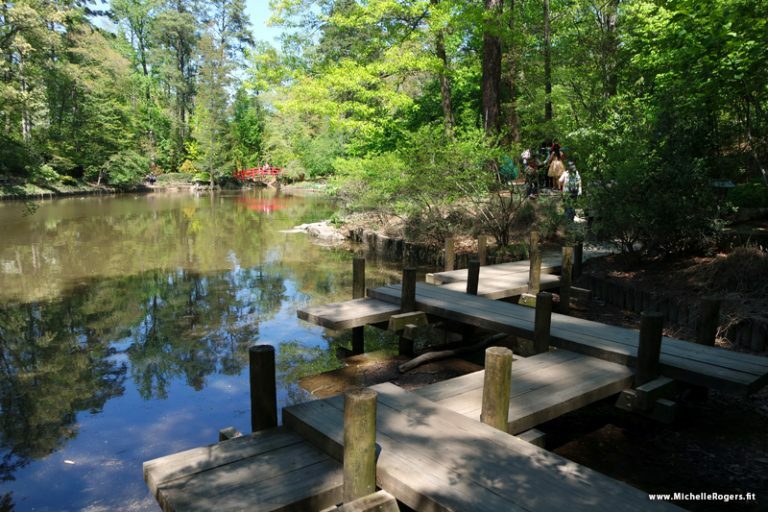 Duke Gardens – Located on the campus of Duke University, this gorgeous facility boasts 55 acres and five miles of walking paths on a varied terrain. 420 Anderson St., Durham. For more, see my story here. 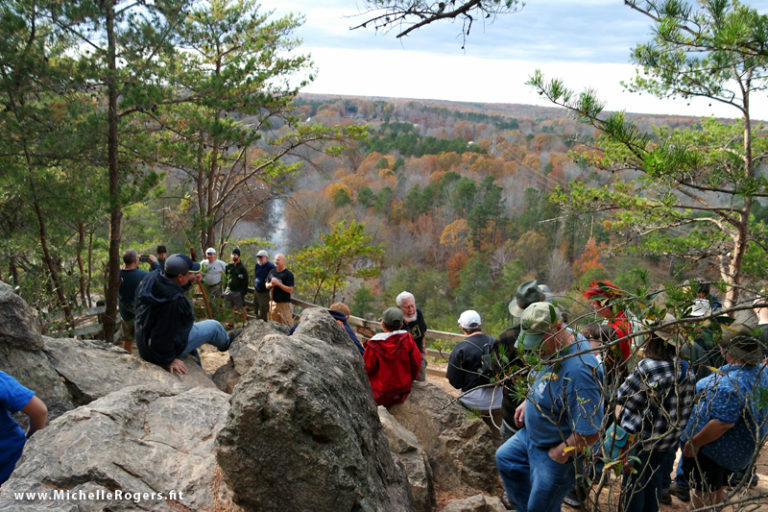 Occoneechee Mountain State Natural Area – This scenic trail goes through the woods, along the peaceful Eno River, and up to the overlook where you’ll get to sit on the rocks or benches and see for miles across Orange County. 625 Virginia Cates Road, Hillsborough. For more, see my story here. 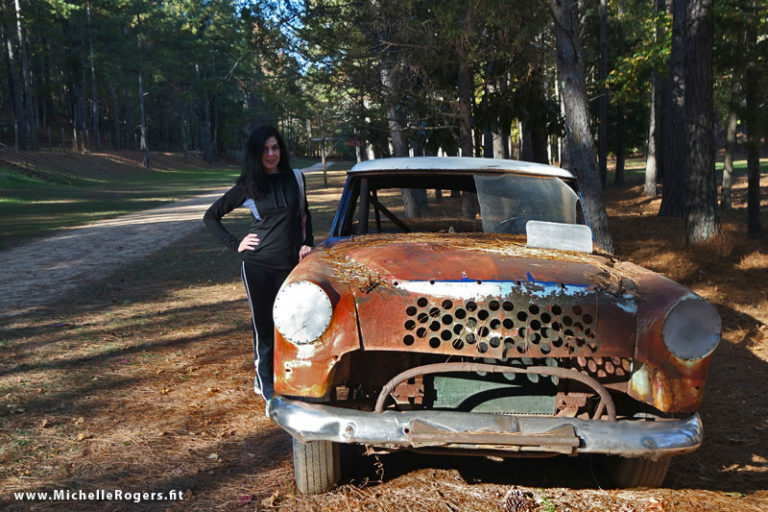 Historic Occoneechee Speedway Trail – This unique 44-acre site was a NASCAR dirt racetrack that was in use from 1948-68 and in 2003 converted to a park with trails. There are 3 miles of flat, dirt tracks ideal to run or walk, including the original oval loop around the speedway. Today, it’s surrounded by tall pines. 320 Elizabeth Brady Road, Hillsborough. For more, see my story here. 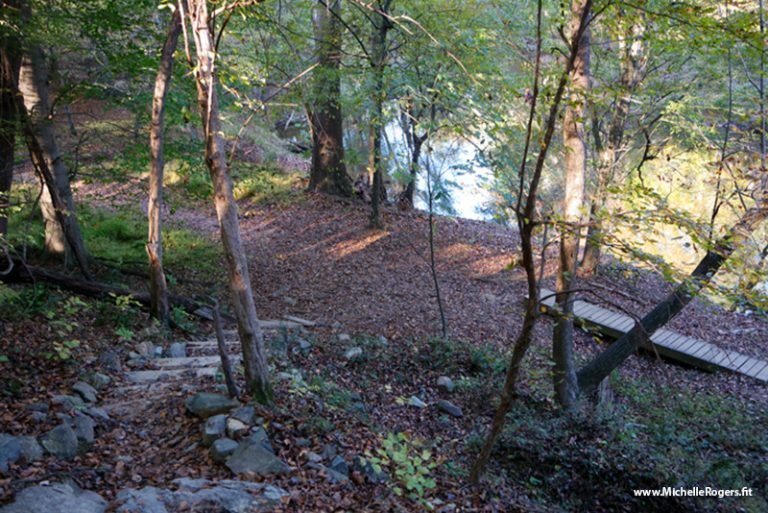 Hillsborough Riverwalk – Part of the Mountains to Sea trail, the Riverwalk is a paved, accessible urban greenway that stretches about 2 miles along the Eno River. It is a popular trail for walking, jogging and cycling. The main entrance is by the Eno River Parking Deck (free), 228 S Churton St., Hillsborough. Little River Regional Park and Natural Area – This 391-acre rural site is operated by both Orange and Durham counties, on former tobacco farmland along the Little River. It features over 7 miles of hiking trails and 8 miles of single-track mountain biking trails. 301 Little River Park Way, Rougemont. Saturday, June 2, 2018, is National Trails Day. What better time to get out and explore? Find local Trails Day events here. 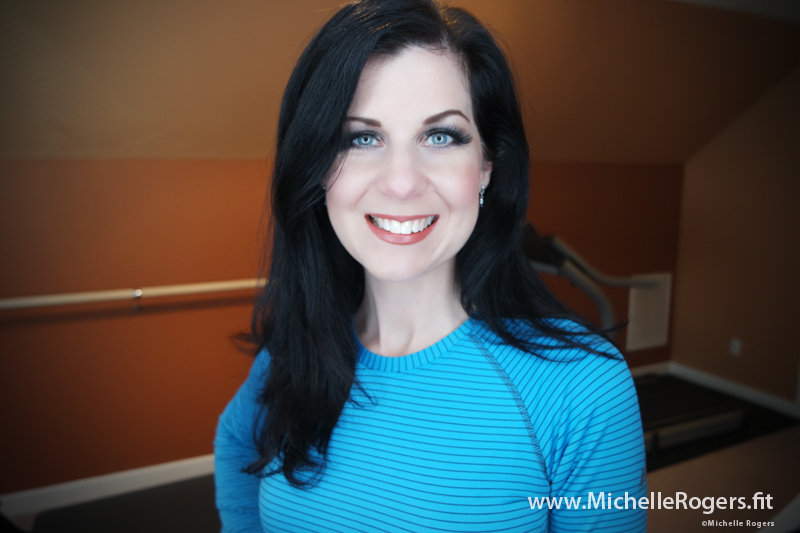 In fact, I’m leading one of them, a ladies’ hike in Hillsborough. There are several other awesome parks and trails we could add to this list. 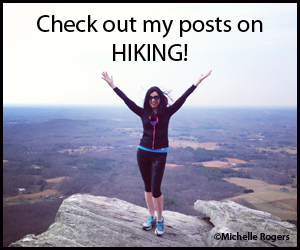 With so many wonderful places in the Triangle to explore, it’s time to step out and enjoy the great outdoors. So slip on your hiking boots, pump up your bike tires, lace up your trail runners, grab your paddle, or saddle up your horse and hit the trail!